Vicky Kaushal and Kartik Aaryan Self-Invited Themselves to Deepika Padukone-Ranveer Singh's Wedding and These Hilarous Photoshopped Pics Are Proof! 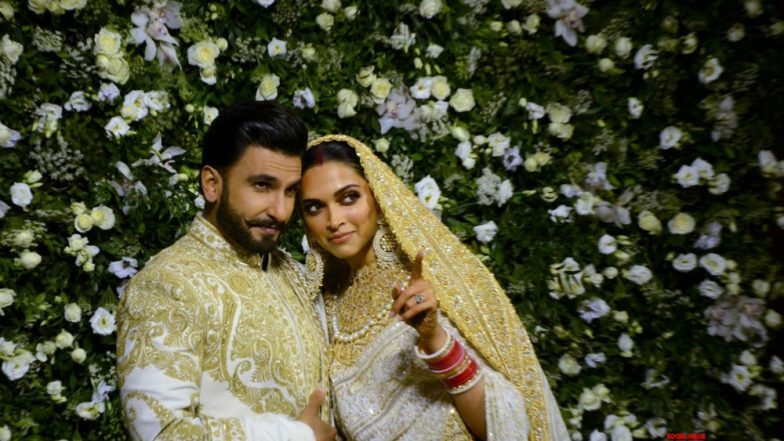 Deepika Padukone and Ranveer Singh's wedding at Lake Como was a super-secret affair. The entire nation was pining to see one glimpse of the newly wed celebs and we guess this includes the celebs too! Although not many were invited at this ceremony, the excitement was high. Choosing this as the subject of their skit, Vicky Kaushal and Kartik Aaryan pulled a prank on DeepVeer at Zee Cine Awards 2019. They presented a photo-shopped version of their wedding pics and the couple could not stop but laugh out loud! Watch Vogue 73 Questions With Deepika Padukone Here. In these pictures, one can see Vicky and Kartik in some of the most popular wedding moments of Deepika and Ranveer. The photos had them as the baaratis, helpers, caterers and the result was indeed hilarious! In one of the stills we can also see Vicky at the airport carrying their luggage. Check out these funnily created pictures below. On the other hand, the event was also all about the camaraderie between DP and Ranveer. From taking pheras to gettin emotional after receiving awards, this cute husband-wife pair won the function with their adorable bonding. Also, DP and Alia Bhatt were the stars of the night with their goofy poses and happy bonding while speaking with media. Not to forget, Ranbir Kapoor and Ranveer Singh too gelled up at the event, leaving everyone hopeful about a film starring them together! Coming back to the wedding pictures, we are sure that the fever around them is here to stay for a year atleast! How did you find Vicky-Kartik's attempt to self-invite themselves to the wedding?